If you follow her work, you’ll no doubt know that Interior Designer Young Huh is well versed in utilizing various sources of inspiration, from art to travel, when it comes to creating her eclectic, yet timelessly feminine spaces. 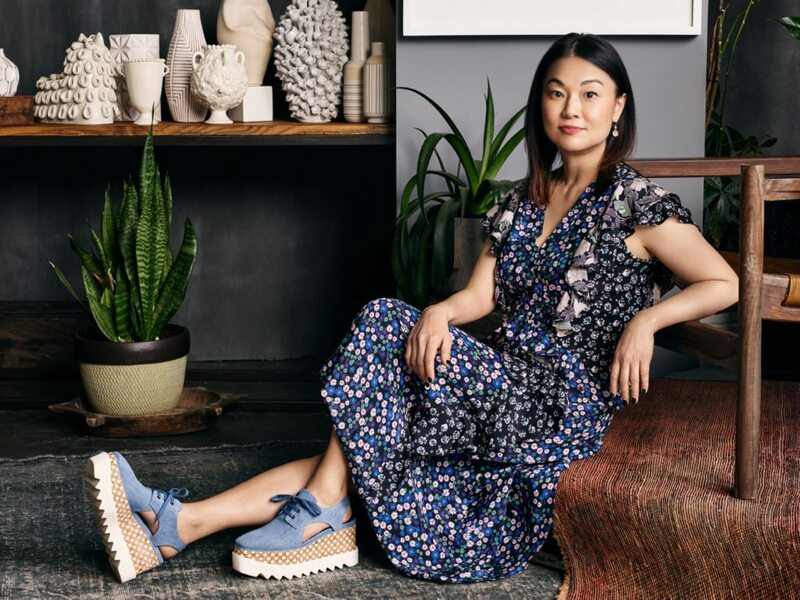 As the principal and founder of her namesake design firm, Young Huh Interiors, which specializes in residential and commercial interiors, Young is responsible for conceiving and tailoring projects to fit both her clients’ personality and needs. Her philosophy is that each client has a unique point-of-view, and her role is to translate that vision into a reality while elevating it to its greatest potential. That means, when it comes to designing a space, Young pays great attention to detail, which is something that AKDO understands deeply. 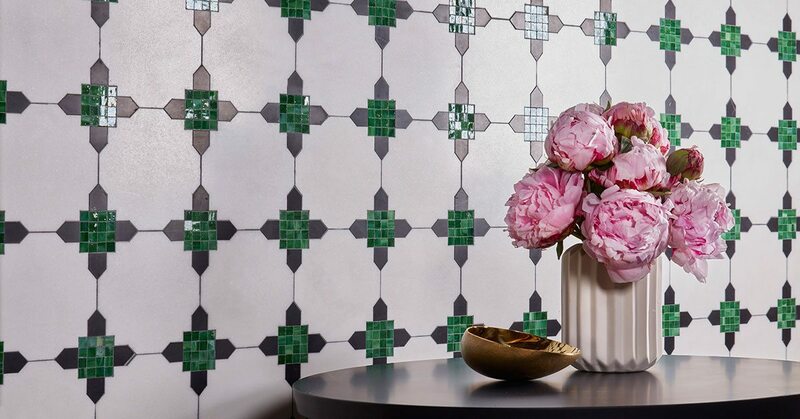 When it came to working with Young on designing a line of mosaics, we knew that it would remain true to those core values and the designer’s signature style. 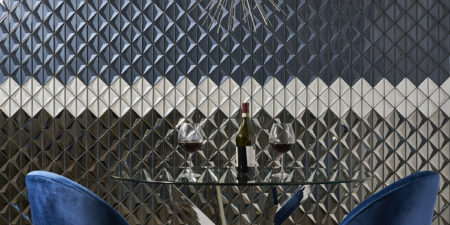 As a result, the Essence Collection of waterjet glass and stone mosaics was born. The collection finds its roots in historic global patterns, but embodies au courant design by streamlining their motifs and using unexpected materials and colors. 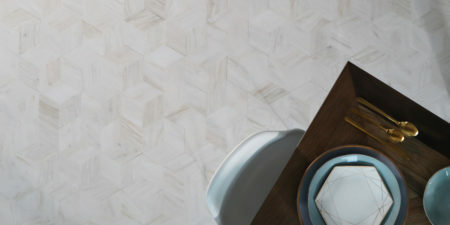 Essence takes cues from traditional terracotta tiles of diverse origins and interprets them with a fresh perspective. The designer notes, “we wanted to create simpler, more attractive, and most importantly, usable patterns that touched on that same history.” To achieve just that, Young focused on crisp, clean marble as a medium, and added richly colored glass accents throughout to highlight each unique profile. 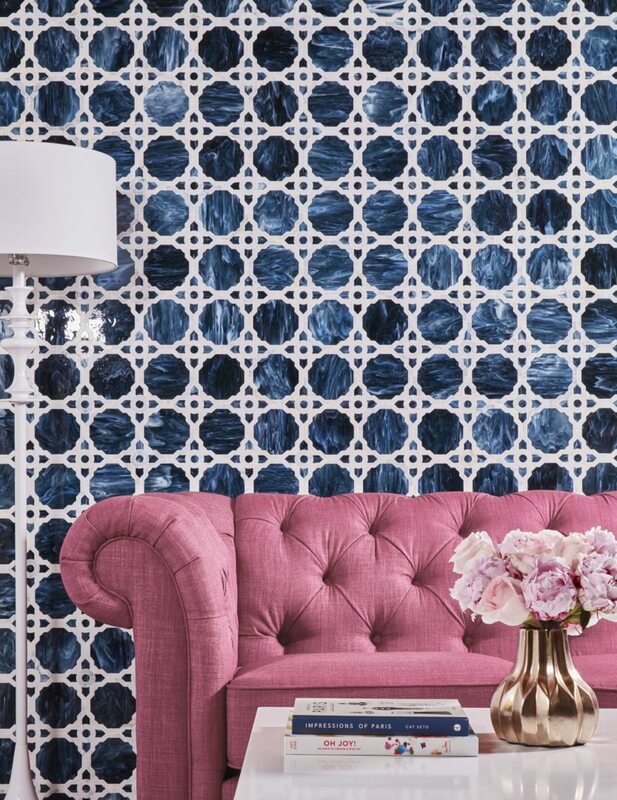 These unique mosaics are ideal for use as backsplashes and kitchens, for unexpected accent walls, and even for statement making entryways in both residential and hospitality settings. Strike the perfect balance of current and artistically-inspired décor with the Essence Collection by Young Huh.